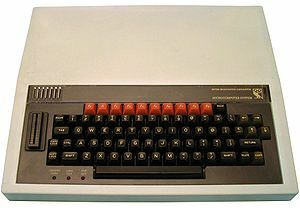 A reference today reminded me of my passing acquantance with the BBC Micro. Data from the experiment I was using was collected using a Hewlett -Packard Calculator [!]. The program, and data, was held on bespoke tapes. For transferring to the University’s Mainframe, the calculator was connected to a tape machine – yes – paper tape punched with holes. While I was there, the facility to read such punched paper tape was removed. Disaster loomed. I discovered that the BBC Micros used as dumb terminals to the University’s mainframe had an auxiliary input; and that input could take the output of the HP Calculator (at least as voltages etc were concerned). So I wrestled with the BBC Micro, and got it to read its auxiliary input, connected to the ticker-tape output of the HP Calculator, and store it on 8″ floppy disk ready to send to the University Mainframe. Data ran at the bizarre speed of something around 700 baud (working with Modems in my past, that was how I measured the speed), certainly a non-standard speed. One tape took 3/4 hour to transfer. I don’t know how much data was actuallly transferred this way. That which was not is now lost, including much significant data from the late 1970’s early 1980s. Paper graphs remain, no doubt, but the chance to re-analyse the data is lost, and perhaps significant finds lost with it. 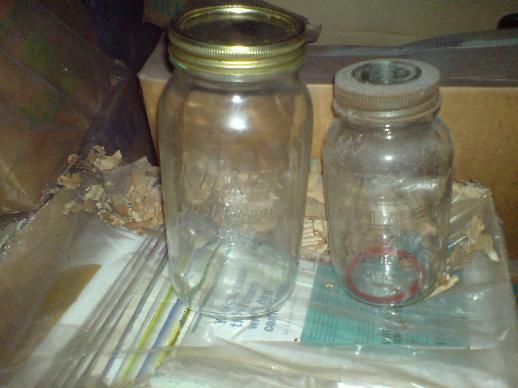 Yesterday I had found more than just jars. 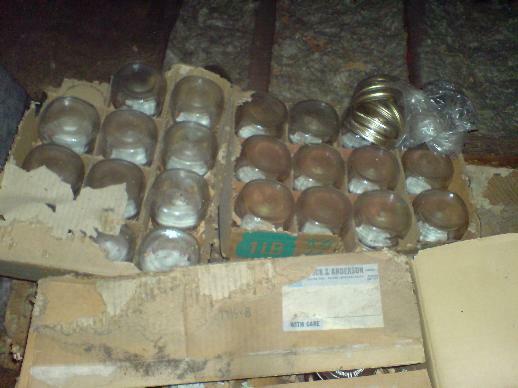 Today’s report concerns what was found in the small back bedroom, which had been made into an office. The original furnature seems to include a fold down bed, which is a bit of a surprise given that the room was larger than the bedroom I grew up in. Anyhow, this room clearly was more special, in that it has quite a lot of old, and nice looking furnature This includes a wooden filing cabinet and a bureau (currently almost hidden by boxes. I was not sure what I would find in here – valuable documents? 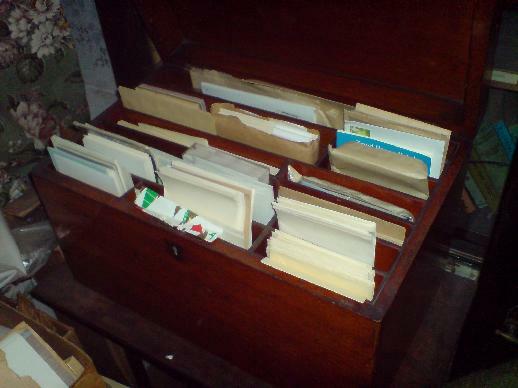 But no, it is some kind of writing box,filled mostly with plain paper an envelopes of various sizes. 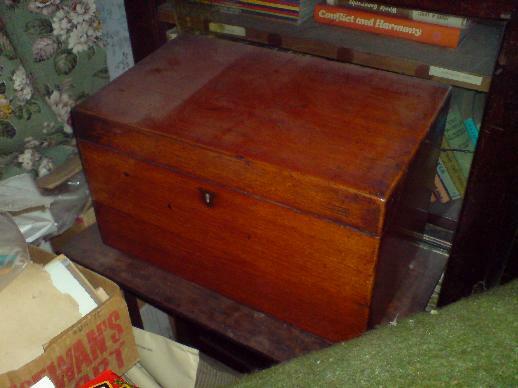 I’m guessing here, but I suspect this belonged to my maternal grandfather (ditto the bureau, filing cabinet etc). An interesting find, but what to do with it?